The Cedar Tree began, as all trees do from a seed, a belief that our body and mind has an amazing potential for self-healing and growth which sometimes needs to be nurtured. 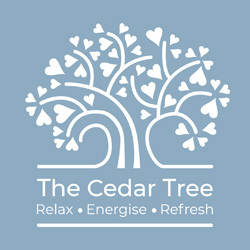 Our vision at The Cedar Tree is to provide a calm and peaceful space for you to arrive at yourself. Somewhere to tune in, re-balance and self heal. Our aim is to create a place for relaxation, healing, growth and development, allowing you to leave feeling connected, balanced and nourished. Our wish is to give you the opportunity to tap into and explore your own potential, to harness your own creativity and have fun. The Cedar Tree would like to see yoga, therapies and creative writing becoming a thread that weaves through your every day lifestyle choice, enhancing your life experience. Louise and Finola met a zillion years ago!!! through their children in the school playground. They shared common interests in ‘writing’…Louise doing so and Finola pontificating, and ‘yoga’ ….Finola doing so and Louise pontificating! And ‘Complementary Therapies’ …both doing so. Over the years their paths crossed many times, not just in the playground but through work…eventually writing groups and yoga classes. Each spreading the good work of the other along the way. In an ‘epiphany’ moment, which you will surely get to hear of the two different accounts when you come to know Louise and Finola, they joined forces to form The Cedar Tree to spread the word on the things they love doing, the things that have helped to enhance their lives to share their experience and knowledge and bring to you the fun, love and light that is The Cedar Tree. So many aspects of the this beautiful tree felt right for it to be the umbrella that covers all we are passionate about. Through many years and cultures from Gods to native Americans the cedar tree symbolises such beautiful ideals, a reaching out into things as yet unknown, it conjures up a spirit of strength , defence and purity in its majestic form. The oil from the tree can be used to bring peace, relief and protection where required and as such is at the heart of our signature blend.